Mansa Musa left so much gold to the people along his way, he inadvertently caused inflation in the regions he passed. 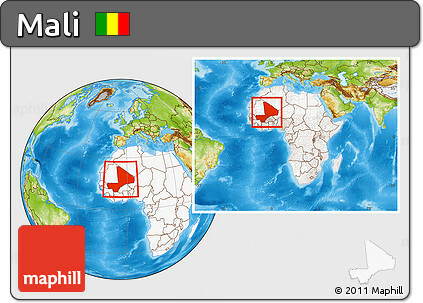 Today, however, Mali is one of the poorest nations in the world. Around 70% of Mali’s population earns less than a dollar per day. Less than 10% of Malians earn more than $2 a day. Capital City: Bamako is the capital and largest city of Mali, with a population of 1.8 million. In 2006, it was estimated to be the fastest growing city in Africa and sixth-fastest in the world. Religion: There’s a well-known saying in Mali that the country is “98% Muslim, 2% Christian and 100% animist”, with Islam absorbing traditional practices and allowing people to retain connections with their customary spirituality – providing a formula for religious tolerance.